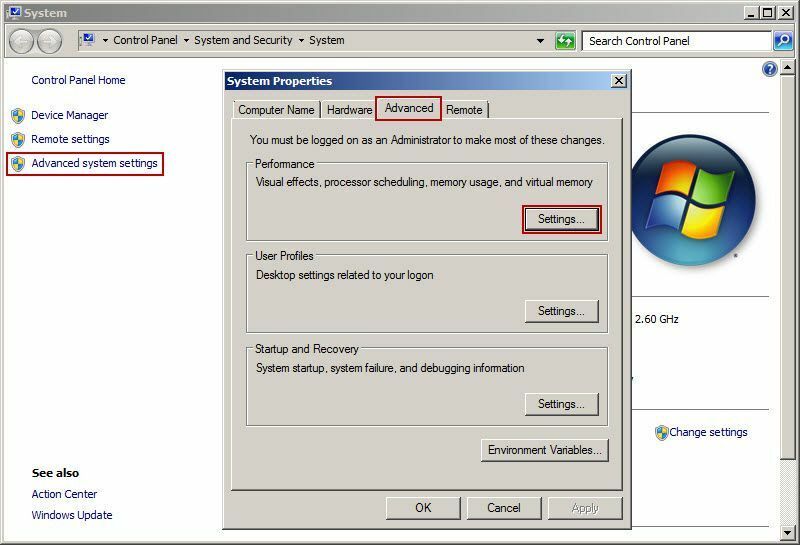 1) Right-click the "Computer", select "Properties". 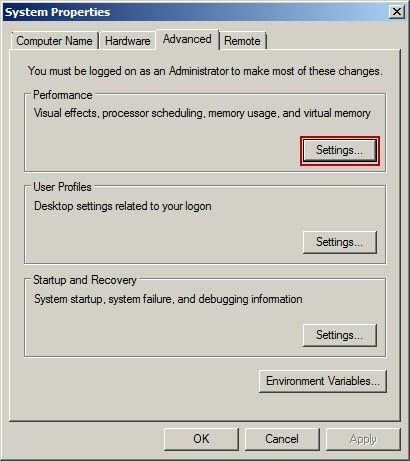 3) In the pop-up "System Properties" dialogue box, click "Advanced" tab, in the "Performance" group, click the "Settings" button (Figure 1‑2). 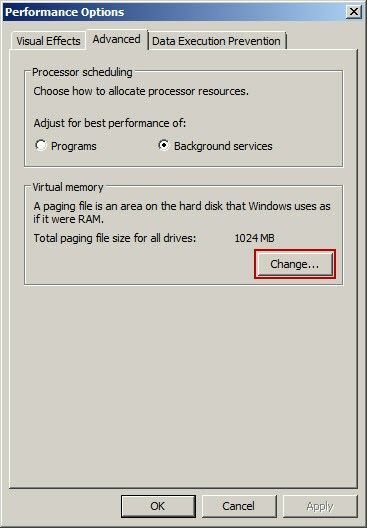 4) In the pop-up "Performance Options" dialogue box, click "Advanced" tab, and then click "Change" button (Figure 1‑3). 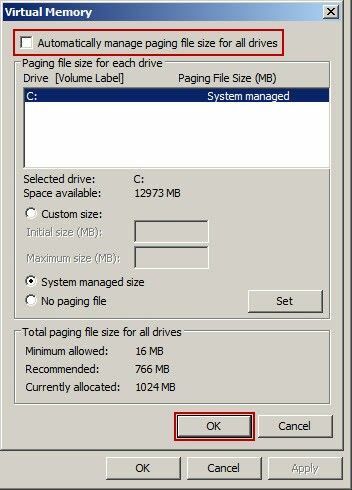 5) In the pop-up "Virtual Memory" dialogue box, uncheck the "Automatically manage paging file size for all drives" Check box, and then click "OK" button (Figure 1‑4). We have created a video - "Virtual Memory Optimization" (start from about 02:07).